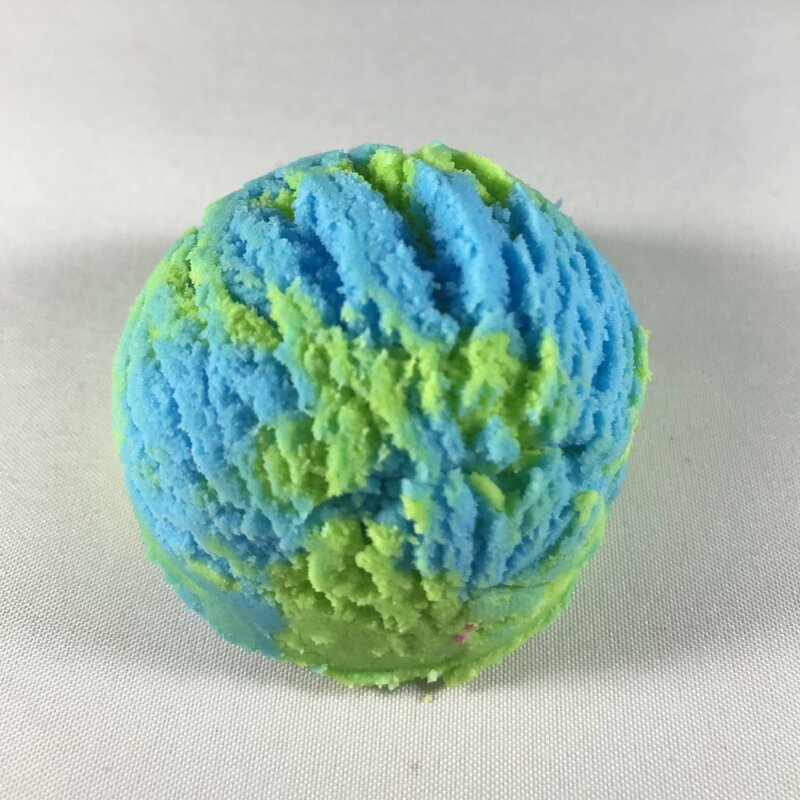 2oz : A childhood favorite, the Gummy Bear Bubble Scoop offers the essence of chewy gummy candy bursting with fruity goodness. Vibrant blue and green hues come together to form a playful blend. The Bubble Scoop is designed to glimmer, captivate, and infuse your bath with tangy fragrance and luxurious bubbles. Directions: Get ready for mounds of bubbles in your tub! Hold a piece of your bubble scoop under running water to create pillows of bubbles. Please note: Due to the handmade nature of these bubble bath bombs, appearance may vary. May take up to 2-4 weeks to ship.